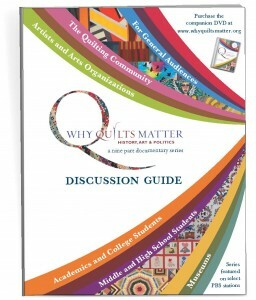 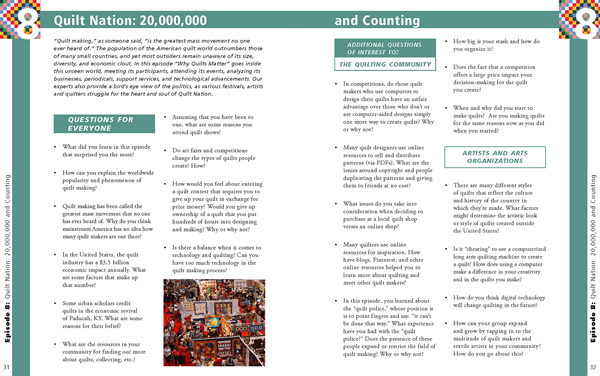 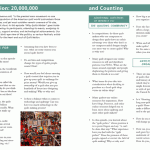 Why Quilts Matter: History, Art & Politics Discussion Guide is a comprehensive, group-friendly guide created to help you “continue the conversation” about the landmark nine-part documentary series that has aired on more than 200 select PBS stations. 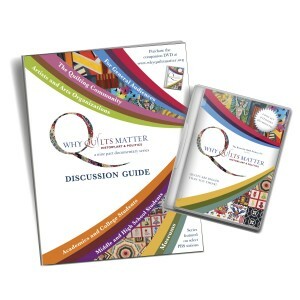 Available in full-color, softcover printed version, this fabulous new 56-page resource includes thought-provoking questions geared to each episode and designed to stimulate animated post-viewing discussion. 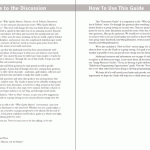 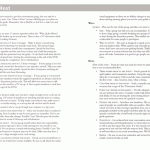 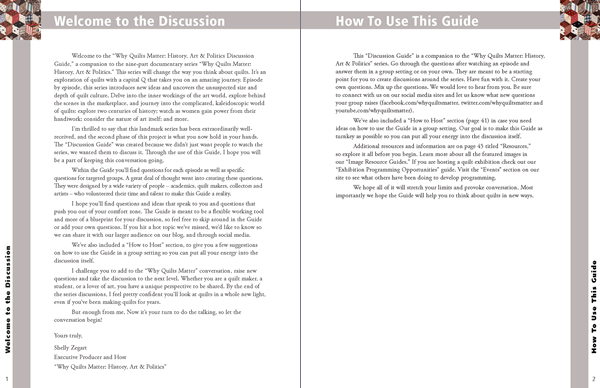 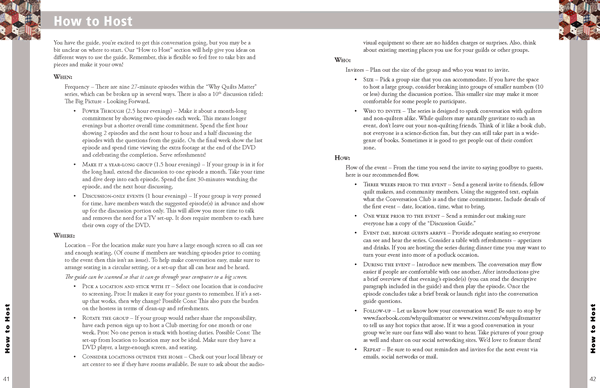 The Guide also features a special “How to Host” section to help you organize and launch your own viewing and discussion group. 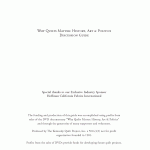 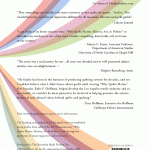 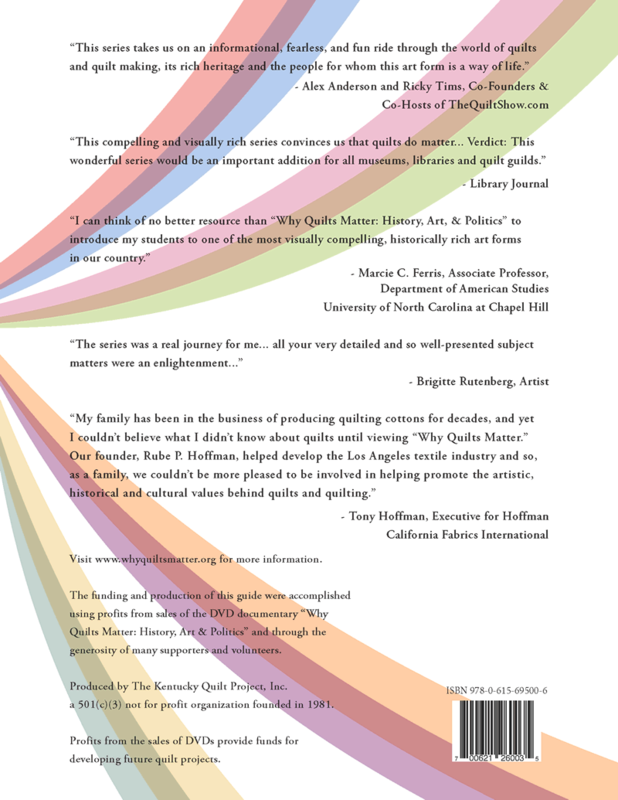 download the electronic version for free. 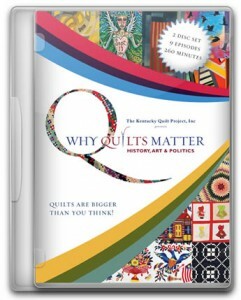 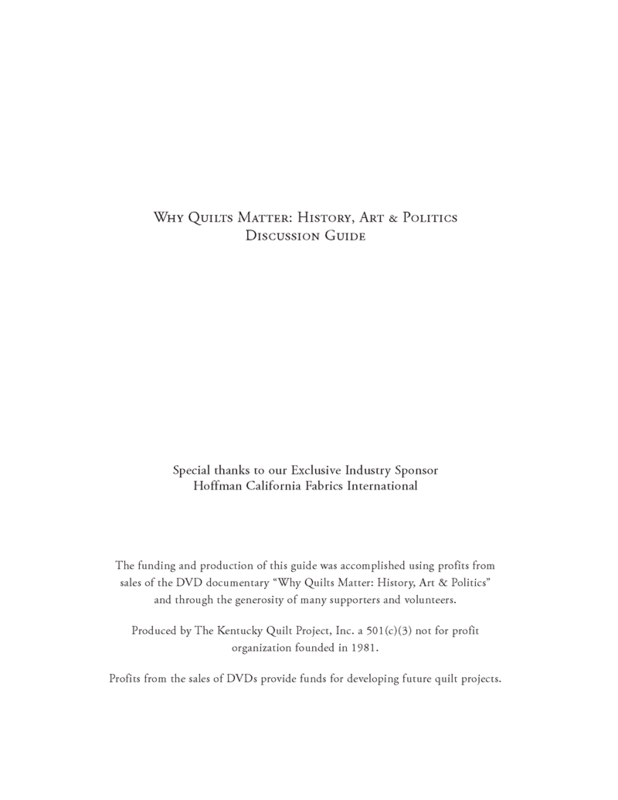 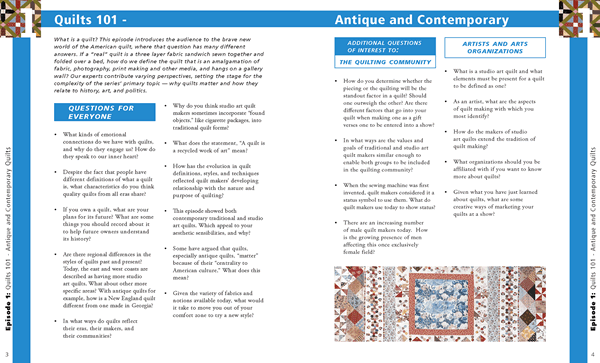 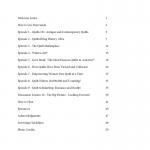 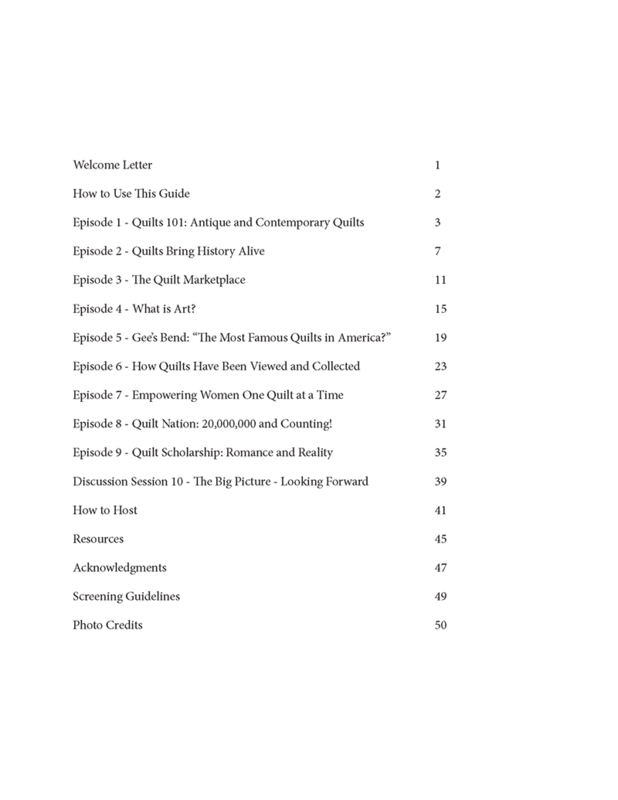 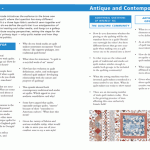 Note: Funding and production of this guide was accomplished through profits from sales of the DVD documentary, Why Quilts Matter: History, Art & Politics, and through the generosity of many supporters and volunteers.